New Book! COMING SOON. Discover the truth about prevention, the cause, the treatment, and the reversal of ALL types of cancers including sarcomas, carcinomas, melanomas, myelomas, leukemias and lymphomas. Discover the truth about prevention, the cause, the treatment, and the reversal of ALL types of cancers including sarcomas, carcinomas, melanomas, myelomas, leukemias and lymphomas. If you have cancer or know of someone with cancer you will NOT want to miss reading the pH Miracle for Cancer. This book will change your understanding of cancer and will change your life forever. It will empower you to take charge of your health and to prevent or reverse the number two leading cause of death in the World. In the 'pH Miracle for Cancer', Dr. Robert and Shelley Young will demystify this health issue, explain treatment, and provide simple, straightforward solutions to many health questions concerning a variety of cancerous conditions, such as: What is cancer and what is the cause of all cancer? Is cancer preventable, and if it is, how do we prevent it? Is there a formula for preventing or reversing cancer? If I have cancer do I need to have radiation, chemotherapy or surgery? You might be surprised at the answers! The pH Miracle Cure for Cancer is for people who are serious about natural healing and creating freedom in their lives from all sickness and dis-ease. Dr. Robert and Shelley Young will personally guide you in each chapter, discussing cancer in detail, and revealing how their groundbreaking 'New Biology' has the ability to transform your cells, tissues and organs back to health and vitality. You will have all the science and their years of wisdom and experience at your fingertips to utilize in re-vitalizing your own body and healthy state. The information in each chapter will be explained clearly, and you will read answers to specific questions relating to the cause and effect relationship. The pH Miracle Cure for Cancer will help you expand your knowledge, experience renewal, and gain momentum from knowing the cause and how to prevent or reverse any cancerous condition. You will also discover: What is Cancer? What is cancer and what is the cause of all cancers? Is cancer a mutant cell, a virus, a mold, or is cancer an acidic liquid? What causes the number 1 cancer in women - breast cancer? What is the number cause of cancer in men - prostate cancer and why are so many men getting it? Is cancer a noun or an adjective and is it something we catch or something we do? Are tumors bad or good? What role does the lymphatic system play in cancer? In one of the chapters you will gain a clear answer on 'Where Does Cancer Begin?' The focal point of all cancers, where they begin. Does diet and lifestyle have anything to do with cancer? Is cancer preventable, and if it is, how do we prevent it? If I have cancer, such as colon, lung, or pancreatic cancer, can I reverse it naturally without taking drugs, radiation, or having surgery? In another chapter you will learn how the impact of your emotions and thoughts can contribute or cause a cancerous condition? What influences do your emotions have on causing, reversing, or preventing cancer? How do your thoughts impact the success of the treatment for cancer? Can you cause cancer with your thoughts? How does your personal relationship with friends, family and/or spouse prevent or cause cancer? You will also learn how to prevent and reverse cancer with diet and lifestyle. How daily exercise and sweating can remove the toxins or acids that cause cancer. What types of exercises are the best for preventing and reversing cancer. You will learn about foods and drinks that heal cancer and foods and drinks that cause cancer. The pH Miracle for Cancer will contain hundreds of life changing and life saving alkalizing soup, salad, and juice recipes. Finally you will learn the formula for preventing and reversing ALL cancerous conditions? Is there an inexpensive way to prevent or reverse cancer? Does the radiation from mamograms, MRI's or PET scans cause cancer or are there other non-radioactive tests such as Ultrasound and Thermography that provide valuable anatomical and physiological information in the prevention and treatment of cancer? If I have cancer, do I need to have radiation, chemotherapy or surgery? (You might be surprised at the answer!) Learn about some of the latest natural treatments for cancer, such as alkalizing IV's or injections with sodium peroxide, potassium hydroxide, sodium chlorite, sodium and potassium bicarbonate IV's - hyperbaric oxygen - tissue factor - hyperthermia - chelation therapy - blood washing and alkalizing - Insulin potentiating therapy - just to name a few. Knowledge is power and this knowledge for the prevention and reversal for ALL cancers contained in the pH Miracle for Cancer book by Dr. Robert and Shelley Young will change or save your life, a family members life or a friends life. It has already changed and saved millions of lives around the world! Pre-Order your pH Miracle for Cancer book NOW and receive immediately the pH Miracle for Cancer Audio book. Here are just a few quotes from top Medical Experts and Oncologists from around theworld praising Dr. Robert O. Young's cancer research and his new book The pH Miracle for Cancer. "Medicine is a branch of human activity dealing with the health of human beings. Health in turn deals with prevention and cure of diseases—which should be the field of research in medicine but I'm afraid this concept is fading away into the darkness. A famous statement by the director of the National Cancer Institute was "Genomics isa way to do science, not medicine", and I really believe it is time to distinguish Science from Medicine. There is a dynamic balance in our organism where often we see the same drugs working in a patient yet actually not working in another patient with the same disease, however not because they have a different genome, but ratherthey have experienced a differentlife. With this in mind, controlling the body's systemic pH balance during a person's life, using either an alkalinizing diet and/or buffering strategies, may help a lot in preventing the vast majority of diseases, including cancer. By the same token therapies based on alkalization may help in curing or at least stabilizing many incurable diseases, including a global nightmare such as cancer today. The pH Miracle for Cancer will help in understanding more on this issue." "At last—here are practical, effective steps on how to fight cancer and win." "The pH Miracle for Cancer by Dr. Robert and Shelley Young is one of the most important books you will ever read. I am delighted to recommend this wonderful resource to anyone who wants to take control of their health and prevent or even reverse cancer." "New research validates Dr. Young's findings on the true cause of cancer. 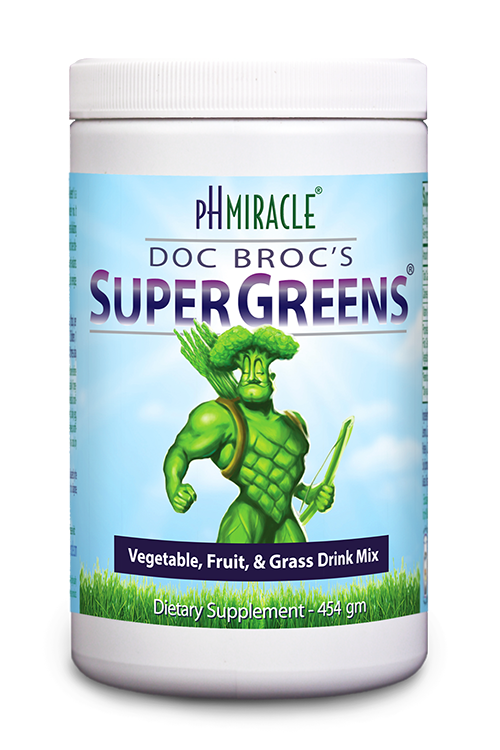 The pH Miracle for Cancer provides the definitive answer to the cause, prevention and cure of cancer and of a great many diseases that plague the world today." "Balancing the body's pH is the best health insurance we have. Today's diet and lifestyle is creating a chronic state of latent tissue acidosis where cancer finds a conducive environment for growth and spread. This wonderful book will show you how, by adopting an alkaline diet and lifestyle, you can regain your natural inner balance at a cellular level and create optimal health. I hope this book will be translated in all languages to make this lifesaving information accessible to everyonein the world." "The pH Miracle for Cancer provides specific diet and lifestyle modifications to help you prevent and even reverse cancer and create optimal health." "Groundbreaking and timely, The pH Miracle for Cancer is the fastest way to lose Gweight, prevent disease, restore health, and feel better than ever." "With the knowledge of The pH Miracle for Cancer in your hands you can change your destiny, you can cancer-proof your body and escape the devastation of medical intervention."